Odysseus’s story is well-known (I hope): the adventures and hijinks that took him away for twenty years from Ithaca and from his wife Penelope. In this novel the perspective is tilted: the narrator is Penelope herself, who, from the Land of the Death, thinks it’s time to tell her side of the story. 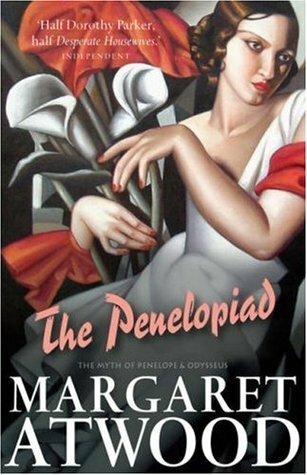 This way Margaret Atwood retraces Penelope’s life, showing a woman more alive than the faithful wife in the Odyssey, from her childhood to the marriage with Odysseus, his departure from Ithaca and the arrival of the suitors. Penelope’s narration is interposed by the chorus of the twelve maids who were hanged after Odysseus came back, and with these voices the story takes another different turn. The novel is compelling and fluid, Penelope stands out realist and ironical, and in the same time her husband’s adventure take a new shape, less mythical and more human. In the Temple one can find the statue of the goddess, in order to pray and ask to be forgiven and be accorded. Usually, at least, but if you are Lord Archias, and if you have murdered Lysippus, the musician favoured by the goddess, forgiveness will not be easy to achieve. A God could be very angry, but rules are set also for these mythical beings, and so Artemis choses to forgive only if Archias will be able to succeed in an – impossible and forbidden – quest. 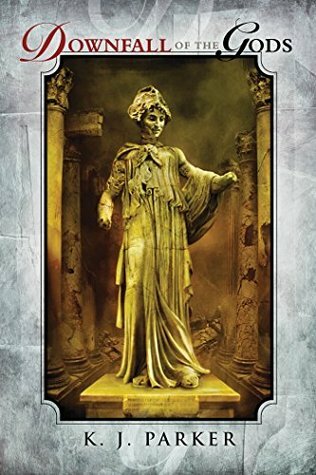 This novella is brilliant in proposing *very* human gods, the extremely whimsical Artemis, and it talks also about the human expectations from faith and religion.